Recalling back to 2008, U.S. financial stocks surged 10% in a single session. Reminiscent of 2008 market dynamics, global bonds aren’t much buying into the equities market “risk on.” Japanese 10-year (JGB) yields fell three bps (to negative 13bps), and German yields increased only four bps (to 13bps). Ten-year Treasury yields rose four bps, taking back only two-thirds of last week’s decline. European periphery spreads tightened only marginally. Policy-induced short squeezes do tend to take on lives of their own. This one’s no exception. The basic premise is that years of central bank monetary inflation and market manipulation have nurtured a “global pool of speculative finance” of incredible dimensions. The unstable dynamic of “too much ‘money’ chasing too few real opportunities” – along with the associated “Crowded Trade” phenomenon – has made it extraordinarily difficult for active managers to compete with the indices. And as “money” continues to gravitate to passive bets on the major indices, the markets’ dysfunctional trend-following/performance-chasing dynamic becomes only more deeply entrenched (and detached from fundamentals). When markets lurch higher, irrepressible forces begin pulling everyone in. Recall back to the tumultuous January and early February period. Global “Risk Off” was in control. Crude traded down to about $27 a barrel. Global equities were under intense pressure, led lower by commodity producers and financial stocks. EM currencies were under liquidation. Chinese stocks were in free-fall, trading at about half the level of summer highs. The Chinese currency was under pressure, with unprecedented quantities of “money” fleeing the bursting Chinese Bubble. The prevailing bullish view from December was that the U.S. economy was on solid footing, allowing the Fed to finally move forward with rate normalization. The European recovery had gained self-sustaining momentum. In Japan, yen devaluation had successfully boosted corporate profits and stock prices, positioning the economy for decent growth. The world was looking at China through rose-colored glasses, believing Chinese officials were adeptly orchestrating the mythological “soft-landing.” At the same time, a compelling argument could be made that an ongoing Chinese boom was all that was holding a global deflationary spiral at bay. A Chinese hard landing would dictate major revisions to large numbers of market and growth assumptions around the globe. Not long ago Chinese officials had set their sights on reining in rampant Credit growth. Having clearly reversed course, Credit expanded during the quarter at a blistering almost 20%. This compares to its recent official target of 13% and China’s GDP target of 6.5-7.0%. In such a circumstance, what is the prognosis for Chinese currency stability? Uncharted Territory. With markets in a tailspin and “money” fleeing China, reasonable analysis back in January might have anticipated Chinese 2016 Credit slowing to, say, $1.5 TN. It will instead likely double this amount. When one is pondering the unstable 2016’s market backdrop, it’s helpful to think in terms of China as the marginal source of global Credit. The immediate good news for equities and commodities is that Chinese central planning still holds astounding sway over the nation’s lending and investing. The ongoing good news for global bonds is that this historic experiment in state-directed Credit and economic management is in peril. The extremely bad news for China – as well as global markets and economy – is that $3.0 TN of unsound Credit at this very late stage of the Credit cycle ensures an even more destabilizing bust. To reverse a rapidly strengthening de-risking/de-leveraging dynamic central bankers were compelled to convey to the markets that they were still very much in control with virtually limitless ammunition. 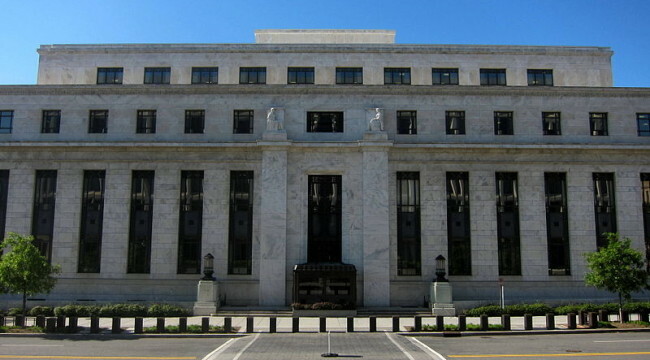 Rates could go deeply negative. QE would expand as big as necessary. And, for emphasis, if required central banks still had “helicopter money” – printing ‘money’ and disseminating it directly to consumers – waiting in the wings. They pushed Desperate Measures Too Far this time. The course of global monetary policy increasingly lacks credibility. Patience has worn thin. Frustration and anger are being brought to the boil. Sure, global markets have gained momentum. But I actually think “whatever it takes” central banking has about run its course, with momentous ramifications for global market Bubbles. Reminiscent of how I felt in 2008, global markets would be a lot better off had they taken their medicine earlier.